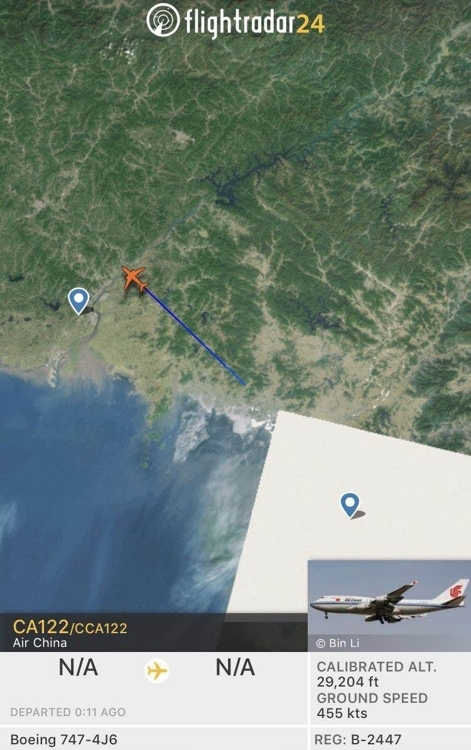 BEIJING -- A Chinese private jet that discreetly landed in North Korea has departed Sunday en route to Singapore about an hour after its arrival in the communist state, a flight route-tracking website showed. The takeoff by an Air China airplane was detected at the airport in Pyongyang at 8:30 a.m., according to Flightradar24. Initially, the plane reported it was flying to Beijing but suddenly changed its flight number to CA61 from CA122 with its heading set for Singapore, the website showed. 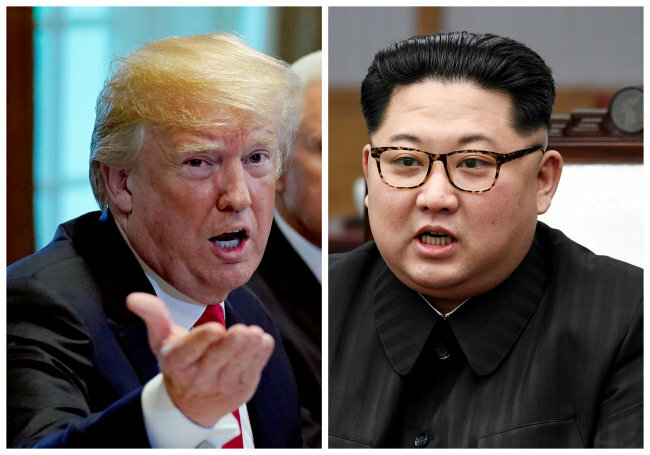 As to who boarded the plane from the communist state was unknown, but speculation is growing that it might be flying North Korean leader Kim Jong-un to Singapore, two days ahead of the historic summit with US President Donald Trump in the city-state. No other flights were detected from the North, according to the website. Kim has a personal Ilyushin-62M jet, a Soviet-era narrow-body aircraft. But observers have predicted he may be seeking a chartered plane from China, its major ally, for safety reasons. He also needs a separate aircraft for his delegation and cargo that will accompany him on the trip. The website reported late Saturday that another Chinese airplane landed in Singapore after leaving Pyongyang, in what experts and watchers predicted may be North Korea's advanced team for the summit talks.